Traveling for St. Patrick’s Day, Spring Break or Easter? Yesterday we released our 2015 Spring Travel Forecast. 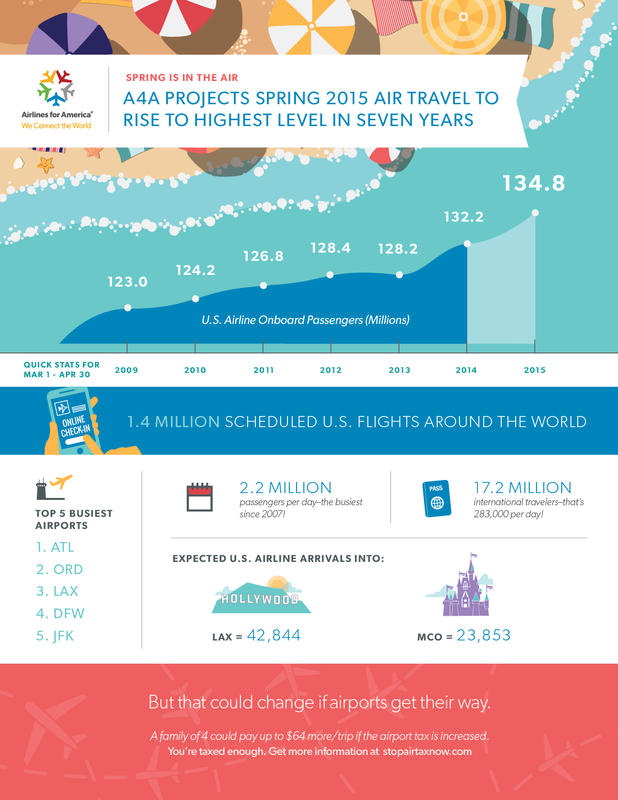 If you are one of the nearly 135 million passengers that will take to the skies this spring, we have some stats you may find interesting! 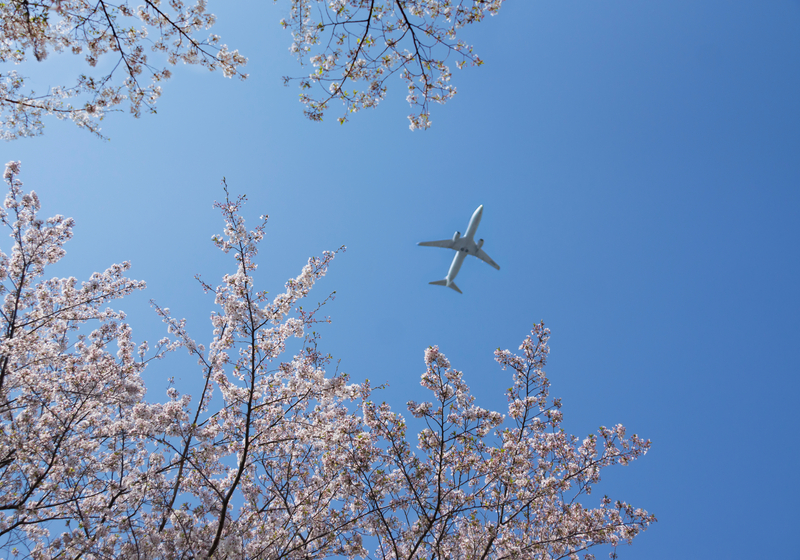 We are predicting that March and April air travel will be the highest it has been in seven years, a sign of rising personal incomes and an overall improving U.S. economy. 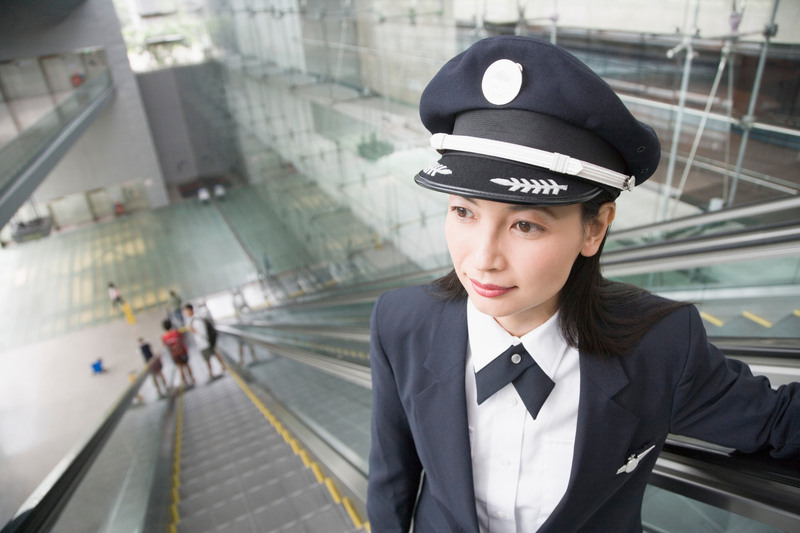 To meet this increase in demand, airlines are making more seats available by investing in new and larger planes, and adding routes and service to their networks. 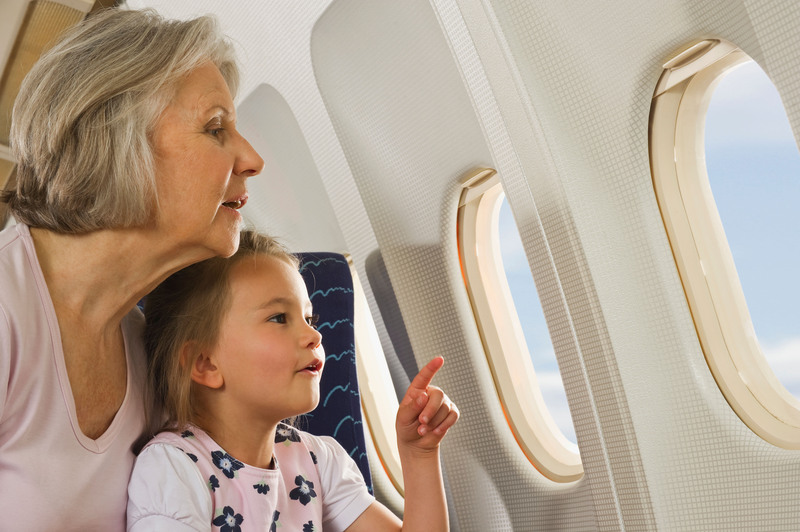 Whether you are heading to the beach for some fun in the sun or taking to the slopes one last time, our member airlines are proud to get you there safely. 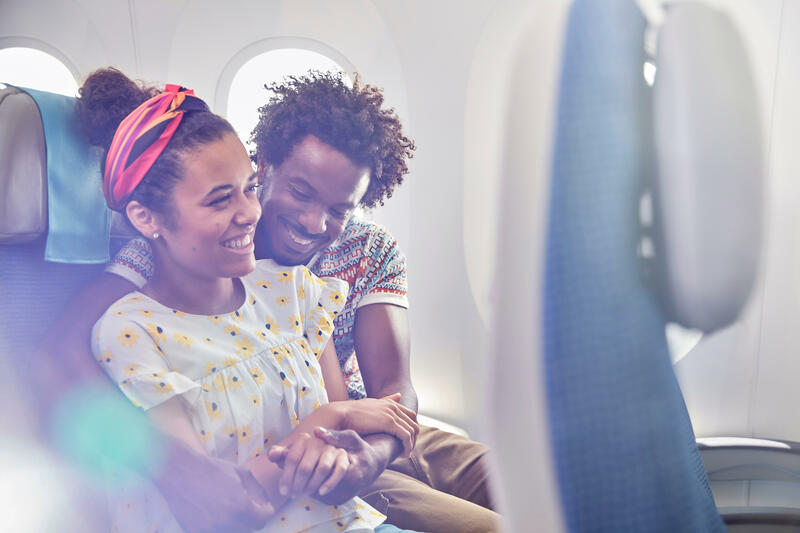 Before you take to the skies, be sure to check out our travel tips and take a virtual trip through the anatomy of a flight by visiting our passenger portal.